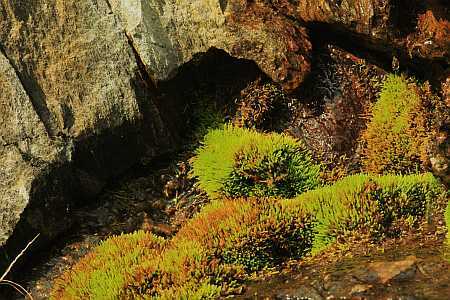 Moss on a road cut between Charlemon and Zoar, this shot being from Gizmo, my 400mm L-series lens. Little Bang (or Mr. CR) glad you are enjoying the weather and moss and springtime. Some of us here in the valley work with bug life cycles and research of same, and for us, the crap has hit the fan! It’s over 90 degree days everywhere and the bugs are hatching like crazy! We thought we had a week or two but here we go. Take photos of bugs, moths, flies, plants, ponds, pool, falls, rivers, fawns, kids, fledglings, kits, cats, and wolves. You have always been the eyes for many of us. Thanks. Laurie, pray for a frost to slow things down a bit!